Being mothers who love luxury products and always on the search for unique baby gifts for our little ones at affordable prices we were super excited when we came across Lucy and Belle’s website. We have recently been searching on ways to make meal times more fun for our children, so when we saw the Cultery Duo, Boy Doctor gift set we just had to get it. Not only are they fun, they are educational and they make the perfect gift. 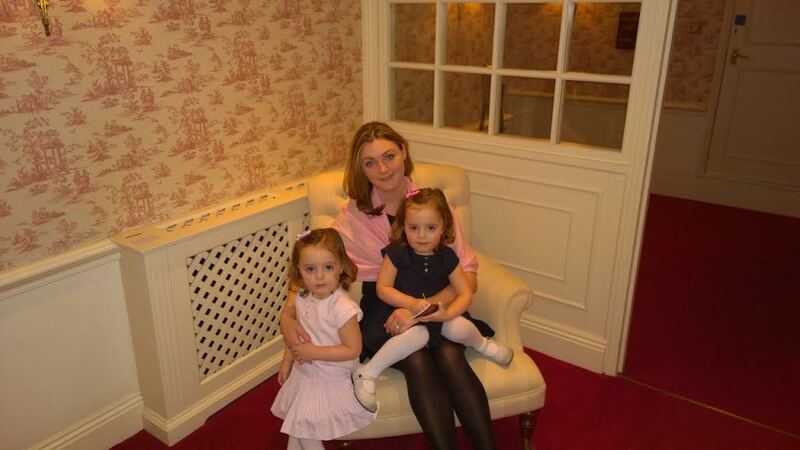 When we found out that Lucy and Belle was founded by a mother of twin girls Clara, we had to get in touch. When Clara noticed there was a gap in the market when it came to finding high end luxury children’s products at affordable prices the company Lucy and Belle was born. And you can see that every product that is sold at Lucy and Belle reflects this. Found out how this inspiring mummy juggles her time between raising her beautiful twin girls and managing her business Lucy and Belle. RM: Tell us about Lucy and Belle? 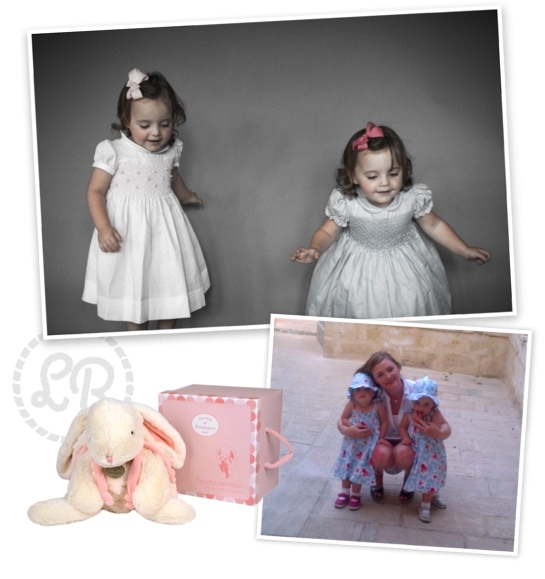 Lucy and Belle is a one stop shop selling luxury gifts for little people and their mummies too. We pride ourselves on providing a wonderful online shopping experience and going the extra mile for our customers. We are a family run business and we care. We strive to deliver first class customer service and as standard we wrap every purchase and supply a gift card which may be personalised. We feel this is essential to our service as we want to make sure our busy customers don’t have too rush out last minute to wrap and buy a card (oh, yes, we have been there). RM: Tell us about some of your favourite products you sell? Oh, what a tricky question! 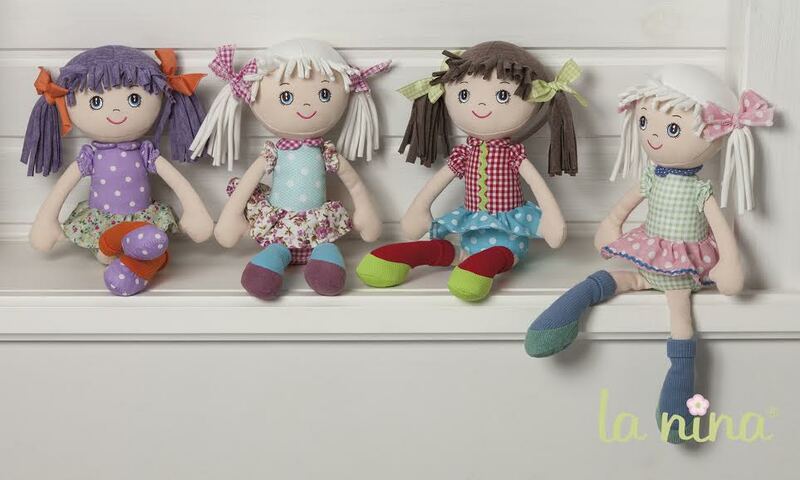 All of our products are personally handpicked to fit in with the Lucy and Belle customer. When we source a new brand for our store we do not take every product available, we carefully select the items which we truly love and think our customers will too. Personally I love the gorgeous jewellery range from chic Italian brand, BeA Legami Preziosi. I also adore the Cupcake Baby Change Bags from Pasito a Pasito and the Protection Cream from beautiful brand, Sophie la Girafe Baby. RM: Who are the people behind Lucy and Belle? Clara Bentata (me! ), the founder and owner of Lucy and Belle. My business would not be here were it not for the birth of my gorgeous identical twin daughters, Annabelle and Lucette so of course they are behind it, as well as my very supportive husband and family. RM: How was Lucy and Belle the company born? CB: The light bulb moment came from spending time with my daughters’ Lucette and Annabelle. They helped me appreciate what is out there for little people and, more importantly, what is not there. It was seeing such a gap for luxury baby gifts and accessories at affordable prices that led me to start Lucy and Belle. We love working with beautiful brands and use high quality materials to bring our customers gifts and accessories which are not only adorable but will stand the test of time and be treasured by loved ones. RM: What would you say is the perfect baby shower gift? You couldn’t go wrong with the Large Bon Bon Rabbit from French brand, Doudou et Compagnie or our beautiful range of clothing and matching accessories from Pasito a Pasito. RM: Tell us how you manage being a mother of twins and having your own business? I am not going to say that this is easy! Every mother understands how challenging it can be when you have little people, they are a job in themselves. I do have help which enables me to focus a number of hours every day on Lucy and Belle, and often I burn the midnight oil, working while my girls are in bed. I do find of course that I am constantly juggling everything but I love working, it has given me back my sense of independence and confidence too as I think sometimes mummies can lose that. In my life before little people I was a lawyer so I do enjoy the structure and routine working gives me and most of all I love the fact that I am building something which I hope one day the girls will enjoy working on too. RM: Being mums who still love fashion we totally love the brand Pasito a Pasito that you stock. Can you tell us a bit about what you stock? CB: Yes, Pasito a Pasito is an absolutely gorgeous Spanish brand perfect for stylish and chic mummies who are looking for changing bags and travel accessories which are unique. I stock a wide range of items for babies from soft toys, clothing and skincare. I also stock products which are suitable for older little people such a fantastic cutlery, amazing nail polish which disappears in water and room decorations too. There is really something for every little person! RB: What would be the top 5 baby gift ideas you would recommend to someone who has just had a baby? RM: We love all the luxurious products you sell, how do you go about sourcing and find such amazing products? CB: Thank you so much! Lucy and Belle is growing organically. When we launched the store in late September we stocked 3 brands which we sourced directly. Now we have over 12 brands which we have discovered at trade fairs or we have been directly approached to become a stockist which is really lovely. We have a vision of what the shop should sell and then we find the brand which suits Lucy and Belle perfectly. All this is so we can give our customers a fabulous and unique shopping experience. RM: Thank you to the lovely Clara for agreeing to feature on Royal Mums. If you are looking for that special something for a baby shower gift or the perfect, stylish and practical mummy bag then please check out Lucy and Belle. P.S Don’t forget to watch our video (coming soon) of the products we got from Lucy and Belle on our instagram page.